Archive of the 1916 New York anarchist periodical, which was published by Hippolyte Havel and ultimately suppressed by the U.S. government. 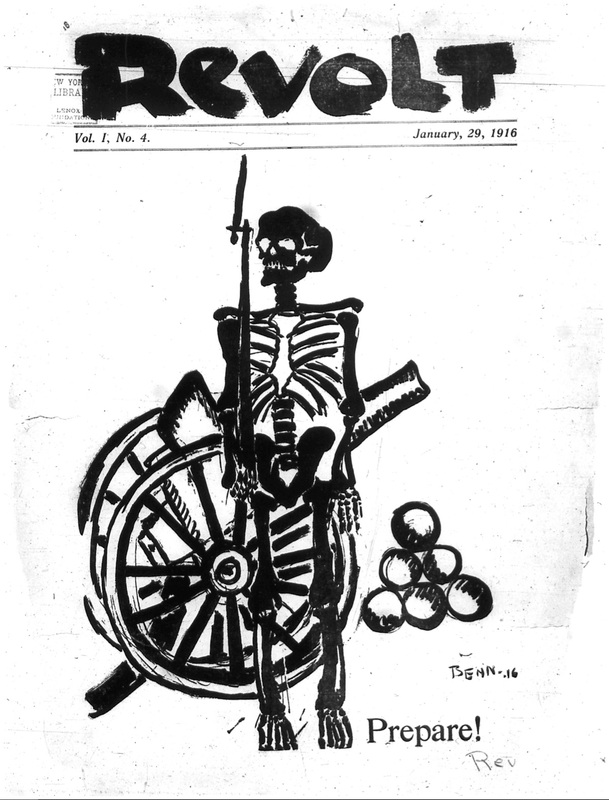 Revolt was an anarchist periodical edited by Hippolyte Havel, and published in New York, NY in 1916. A total of 8 issues were released. After the publication of the 7th issue, all 7 issues of Revolt were deemed "unmailable" by the U.S. Postal Office (According to Partisans of Freedom: A Study in American Anarchism by William O. Reichert, the entire 7th issue of Revolt was locked up by the U.S. government, forcing Havel to issue the final issue clandestinely), as was the final issue upon its release. The journal survived less than four months, publishing its first article on January 1st, 1916 and it's final issue on March 11th, 1916. According to a small notice published near the end of Alexander Berkman's The Blast vol. 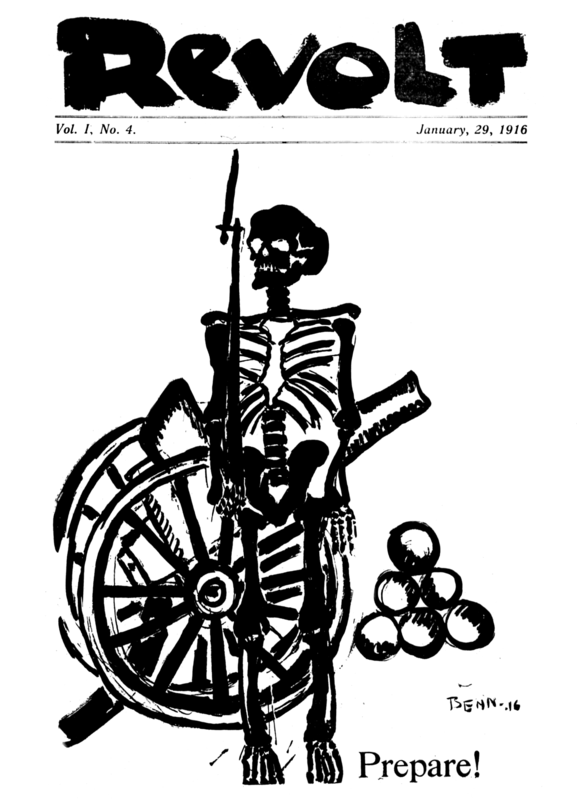 1 issue 24 in January 1917, Havel went on to edit The Social War, a publication which lasted less than a year. To succeed in our mission, we will not hesitate to proclaim our enmity to all the wrongs, shames, and hypocrisies in contemporary life. The Revolt will be the voice of the conscious rebels and it will not shrink from the duty of exposing all compromises and underhand dealings which disgrace the labor movement of this country. The Revolt will have no sympathy with ex-revolutionists, ex-idealists, commonsense men, sneaks, cowards, and businessmen, gents who use the “horny hand” for the purpose of climbing to a higher position in the capitalist society; those who are revolutionists in theory and reactionists in practice. The conscious workingman is tired of wise, practical, matter-of-fact climbers. The Revolt will not be tolerant. Our whole social, political, and artistic life is corrupted by the philosophy of tolerance—the philosophy of the mollusk. The Revolt will not work hand-in-hand with the dear, good, sympathizers, the meek golden-rule people, who say neither yea nor nay, men who preach harmony between capital and labor, those who never want to hurt the enemy. The Revolt will have little sympathy with the man of common sense. Common sense is a good quality for a horse dealer or a bond broker, but out of place in the revolutionary movement. It will not pave the way for the social upheaval. And first, last, and all the time, the Revolt will have nothing but a good dose of contempt for those sweet aesthetes who “see beauty everywhere." Any chance you have a high-res version of this cover? I'd love a print. You bet. Great idea, and I'm probably going to steal it to make some band shirts, so I went ahead and touched up the image a smidgen. I rotated it so it's in line (the title line and "Prepare" text appear to be out of line with each other from the initial publication) and tried to clean up some of the artifacts and grit. Should be a little prettier now, and hopefully a quality high enough for you to use. Came out at 2707 × 3754. You could try ripping it off of the .pdf for Issue 4 if you wanted to try and get it higher or tweak it a bit, though this is probably about as high as it wants to go. Great stuff thanks for digitising and posting! Excellent work! Thanks so much. Also, a perfect image for a band t-shirt. No problem at all! And hell yeah, it'll be wicked.